On June 25th 1910, 102 years ago, the 61st U.S. Congress passed the Rivers and Harbors Act of 1910. Within the act was the congressional authorization which approved the construction of “a double lock, with the necessary accessory works, to be located at “The Narrows” at the entrance to Salmon Bay”. Obtaining this approval, as well as monetary support from the federal government, was quite an accomplishment considering that the project had been proposed as far back as the early 1870s. 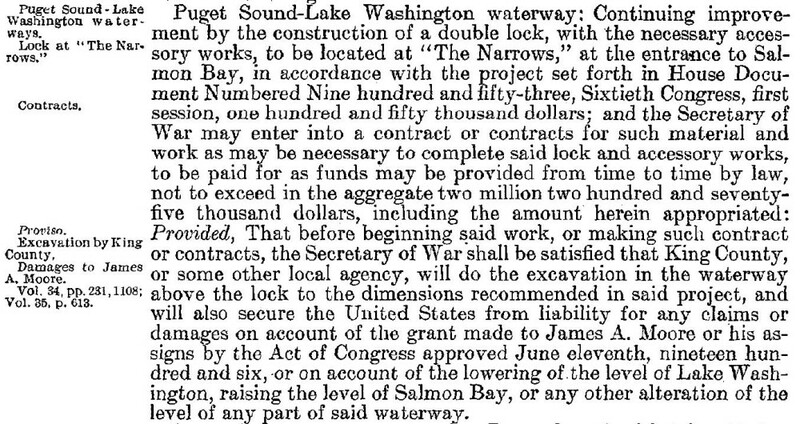 While the Corps and local Seattle leaders recognized early on the significance of connecting Lakes Washington and Union with the Puget Sound it’s doubtful that they could have imagined that the process to construct the locks and ship canal would take over 40 years to complete. 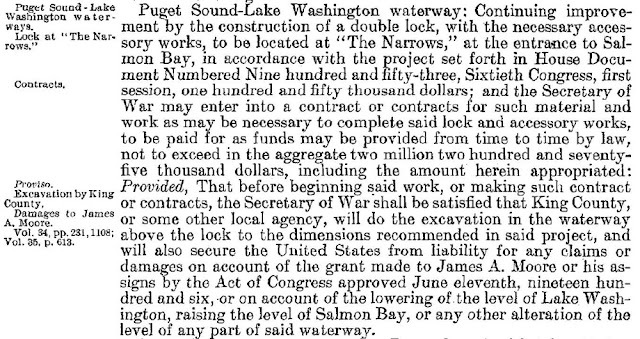 Additionally, while the initial authorization and subsequent appropriations went a long way toward the construction of the locks, in the River and Harbor Appropriation Bill of 1917 the Corps requested an additional $348,000 to complete the project. 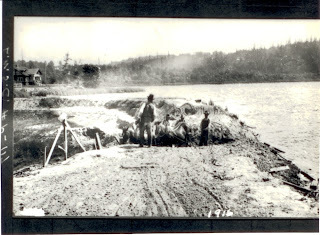 In 1917, when the locks and majority of the associated ship canal was nearing completion, the construction costs were estimated to be $3.5 million for the entire project. In 2012 dollars, that translates into almost $63 million. For comparison, new locks under construction have estimated costs of several hundred million dollars. 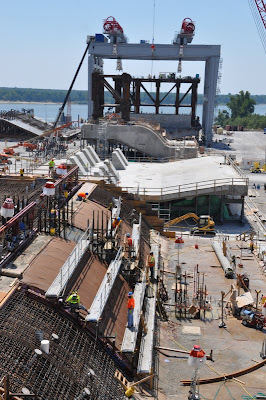 New locks construction on the Ohio River.